Many alfalfa-based stands are simply too old, resulting in huge losses of forage yield. Alfalfa yields are usually at their maximum during the first year or two following the establishment year and then decrease. By the third year, yields have often declined by about 15-20%, and possibly 35% by the fourth year. That is a lot of yield to give up! There are many benefits from alfalfa in a rotation in addition to the improved soil health and environment, including: • 100 lb/ac (110 kg/ha) nitrogen credit to the corn crop following alfalfa in the rotation, and • 10 – 15% corn yield increase following alfalfa rather than corn after corn. The nitrogen credit is currently worth about $60. Even with $4 corn, the increased corn yield is close to $100. Adding these two corn crop benefits together, $160 goes a long way in paying the cost of forage establishment somewhere else in the rotation. Forage stand rotation decisions should be based on forage yield potential, not on the cost of re-establishment. Establishment costs are typically less than 8% of the total cost-of-production (COP) of hay, with the seed costs often less than 4%. Land and harvest costs per acre change little as yields decline, so those costs increase dramatically on a lb of yield basis. Depending on where you farm in the province, the opportunity cost of land rental can represent over 40% of the COP. With high land and harvesting costs, lower yields cost much more than forage establishment costs. When in doubt, rotate! This is a big, but all too common mistake. Forage seed is very small, making good seed-to-soil contact essential for germination, particularly in dry soil conditions. A loose, lumpy seedbed dries out quickly, and lumps make the uniform emergence of young seedlings difficult. A firm, level, clod-free seedbed is very important for uniform seeding depth and good seed-to-soil contact. 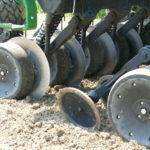 Avoid creating a soft, fluffy seedbed by deep tillage. Using a spike-tooth harrow before the drill loosens the soil rather than packing it. Soil should be firm enough at planting for a footprint to sink no deeper than 9 mm (3?8 inch). If necessary, pack before seeding, in addition to packing after the drill. Packing after seeding results in more rapid and even germination. Use press wheels or pull a packer behind the drill. Sprocket packers are preferable over smooth rollers to reduce the risk of crusting and to push any seed on the surface into the soil. Buying cheap forage seed is a poor way to save money. Significant performance differences exist between varieties. The cost of seed is only a very small percentage (typically < 4%) of the cost of producing forage. As land costs increase, the seed cost percentage decreases. The use of the best research proven forage varieties provides high yields of more persistent stands with better disease resistance and appropriate maturity. Using cheap seed has the potential to result in significant yield losses with more risk of disease and winterkill over the life of the stand. It takes very little extra yield to justify higher valued seed. Certified seed sold under a variety name must meet specific requirements for germination and weed seed content. Forage seed may also be sold as “common seed” or as a “brand” that may be blends of different seed lots. Germination and weed seed content requirements are less rigorous than for certified seed. Common seed has no assurance of characteristics such as disease resistance or winter hardiness. The performance of stands established using common seed is unpredictable and will vary from year to year. The use of high performance, proven varieties, rather than unknown brands or common seed, is strongly suggested. 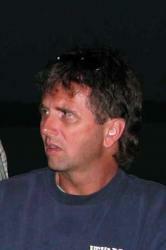 Refer to “Successful Forage Establishment” http://fieldcropnews.com/?p=9535.